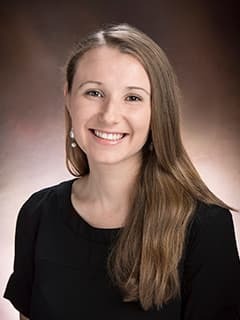 Jennifer E. Maldarelli, PhD, is a psychologist with the Department of Child and Adolescent Psychiatry and Behavioral Sciences at The Children's Hospital of Philadelphia. Maldarelli, J., Kahrs, B., Hunt, S., & Lockman, J.J. (2015). Development of early handwriting: Visual-motor control during letter copying. Developmental Psychology. 51(7), 879-888. doi: 10.1037/a0039424. Jennifer E. Maldarelli, Claire Burns, Bjorn A. Kahrs, & Jeffrey J. Lockman (March 2015). Social Learning in Early Motor Skill Development. Poster presentation at the Society for Research in Child Development (SRCD) 2015 Biennial Meeting. Philadelphia, PA.
Sarah A. Thomas, Juhi Pandey, Jennifer E. Maldarelli, Chad Chappell, Lauren Turner-Brown, Annette M. Estes, Lonnie Zwaigenbaum, Robert T. Schultz, Grace Baranek, Joseph Piven, & the IBIS Network (March 2015). Use of the First Year Inventory (FYI) with Children at High-Risk for Autism Spectrum Disorders. Poster presentation at the Society for Research in Child Development (SRCD) 2015 Biennial Meeting. Philadelphia, PA.